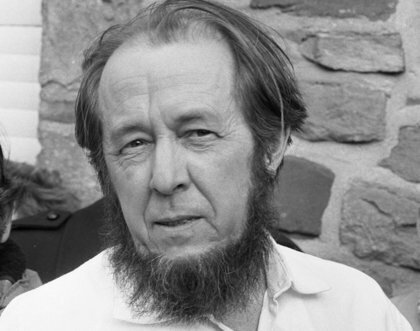 December 11 marks the centennial of Alexander Solzhenitsyn (1918-2008). On this day at the Moscow Art Theater, where he had a long-time friendship and creative collaboration (here his play “The Deer and Shalashovka” was staged by Oleg Yefremov), a unique event will take place, a literary evening “Yours A. Solzhenitsyn” featuring Yevgeny Mironov. Director Marina Brusnikina: “As a rule, the first associations with the name of Solzhenitsyn are a writer, an ideologist, a philosopher, a protagonist. That is how everyone knows him. We also wanted to show him as a very lonely person, who was at the primary stages of his career. We wanted to pay attention to the period of his development as a writer. The performance was based on his personal letters and texts from the moment he left the camp, was in exile, and before being awarded the Nobel Prize. Your A. Solzhenitsyn is the closing line of his letters, where he appears as a person, and not as a significant figure in Soviet literature.